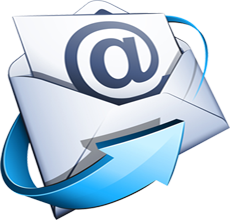 Email Solution | BrainSoft Software (P) Ltd.
BSPL Provide a World Class Business Email Solutions with full-featured functionality, generous Email Storage and Grows with your Business. It is almost mandatory for a business to have its individual Email ID so as to enhance its development on the web space. We provide you with complete control on all features of your mail solution through our easy to use web based interfaces and integrated corporate identity with matching domain name and Email Address.